Hi everyone! 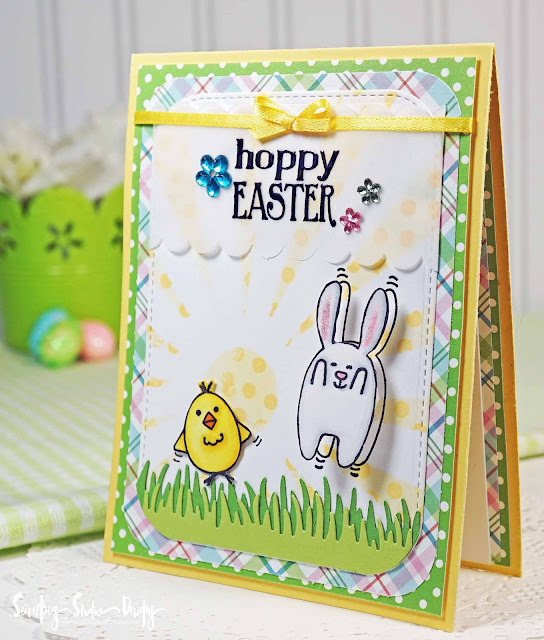 March 1st is a perfect day to show this fun and colorful Easter card! 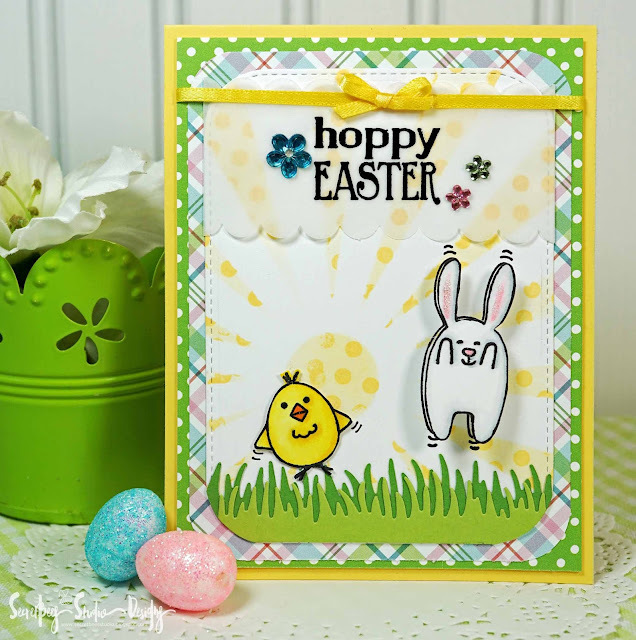 Plus, the 30 Day Coloring Challenge starts today and this definitely fits the bill with Copics, ink blending and stamping! 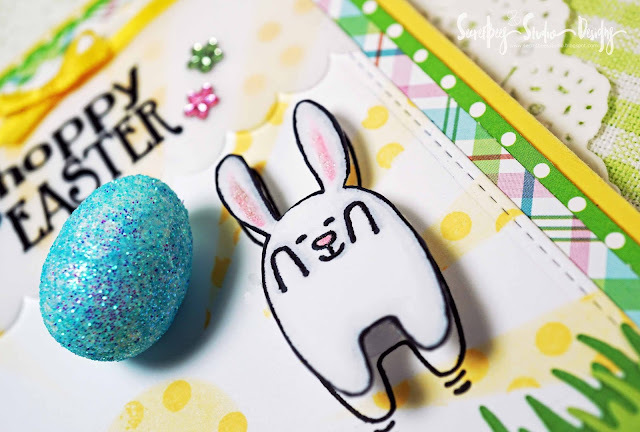 This hopping bunny from the Sizzix 'Hoppy Easter' set is so adorable and I couldn't wait to get it stamped and on an action spring for some movement! The sun background was inked through a die cut stencil before I stamped it with some cheery polka dots in the same color. I didn't want to cover up a lot of the background, so I embossed the sentiment onto vellum before adhering it to the front of the card. Like I said before, the bunny is mounted on a wobble spring so he moves around in the cutest way. The sweet chick is mounted to the background and I mimicked movement by adding in hand drawn lines around the wings. I added some sparkle with bits of Wink of Stella and some sweet pastel colored flower gems. 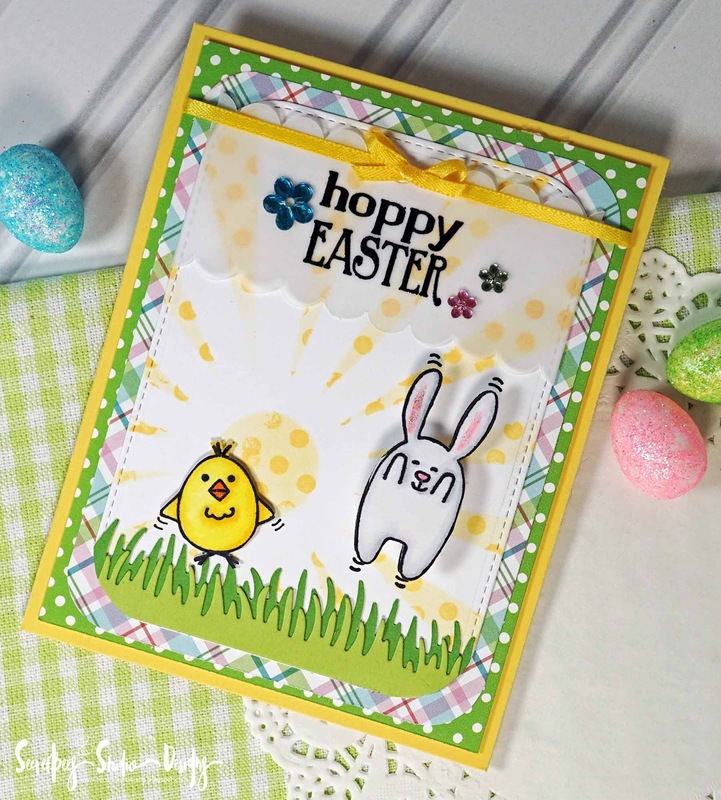 The shiny yellow bow and the background papers are the perfect Spring touch!